I love labne, or labneh, depending on how you choose to spell it. 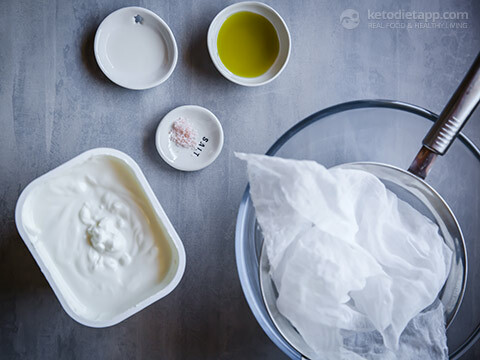 There’s just something so cool about taking a tub of yoghurt, straining it and ending up with a smooth, creamy, tangy spread that can be spooned onto or into so many things. You can flavour the finished labne in any way that you choose; I like to add extra lemon to mine but you can add chopped herbs, chilli flakes, cracked pepper…the possibilities are endless. 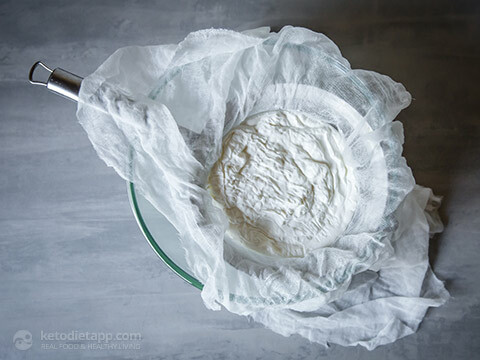 If you leave the labne straining for an additional 24 hours, you can roll it into balls, coat them in herbs or spices and store them in jars covered with olive oil. This looks incredible but I’ve yet to discover the patience to wait the extra day. If you do this, I’d love to hear how it is. 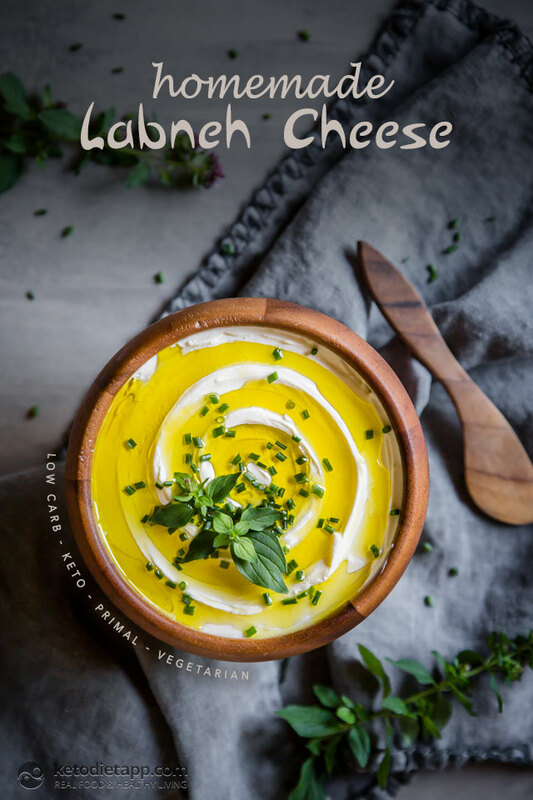 I love to make a batch of low carb cheesy crackers to dip into my labne as a treat or dollop it over my lunchtime avocado. Enjoy! 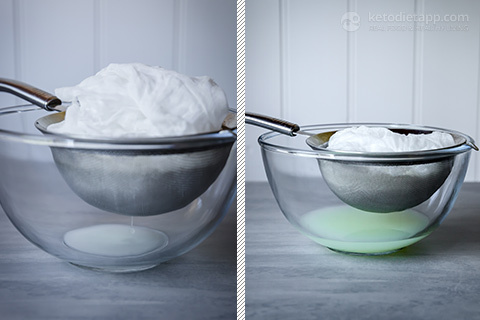 Combine the yoghurt, lemon juice and salt in a bowl. 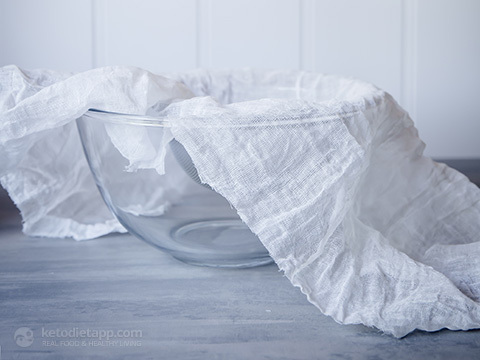 Place a strainer, lined with a clean cloth or muslin, over a large bowl. 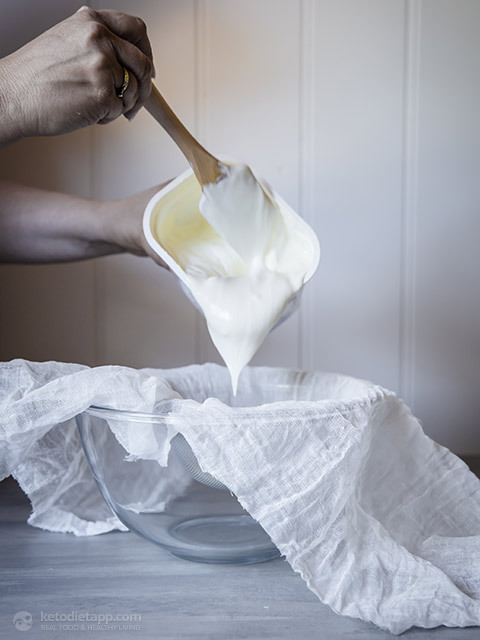 Pour yoghurt into the strainer, gently fold the cloth over the top. Place in refrigerator for 24 hours to strain ... ...or 48 if you’re going to make the labne balls using your hands. 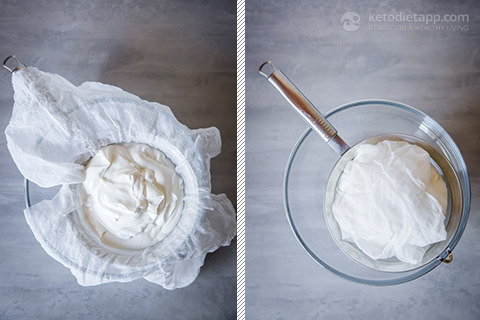 You can use the leftover whey to keep your mayo fresh for weeks. 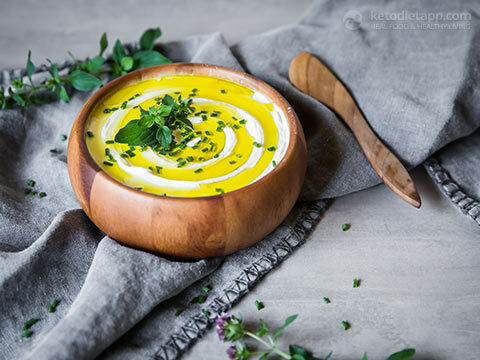 Once strained, add any additional seasonings, spoon into containers, swirl the top with the back of a spoon and drizzle with the olive oil. Store in the refrigerator for up to 5 days. Labne balls in oil can be stored in the refrigerator for up to 2 months. Wow! This was awesome!!! I put it on top of your broccoli soup this week, and it was amazing. I’m making more this week, and I’ll plan my menu based on what I can put this on! 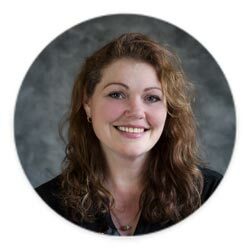 I’m a vegetarian Keto-er, which can be tricky. Recipes like this make it totally doable though. Thank you!!! I saw this post and got so excited. I’m Middle Eastern (Palestinian) and I’ve been eating Labneh everyday since I was little. It’s such an important food for Arabic breakfasts. 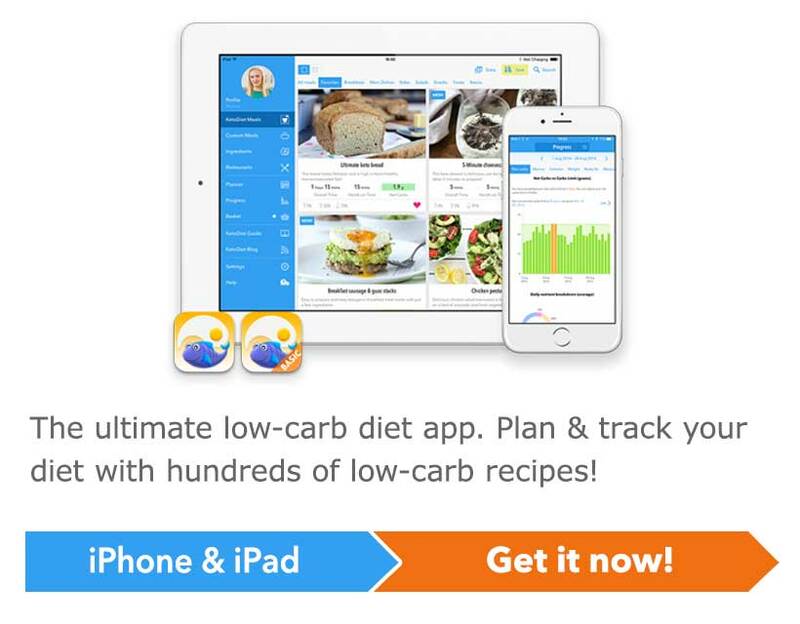 Starting the Keto diet just got A LOT easier. I cannot wait to try this!